Wayne Gathright is a Real Estate Software developer and Internet Specialist with over 15 years experience. His goal is to provide innovative software and products for real estate professionals. Below is a discussion Wayne and I recently had regarding his domain project Tenants.com. Mike: Wayne, tell me about the domain name Tenants.com and how you came to acquire it. 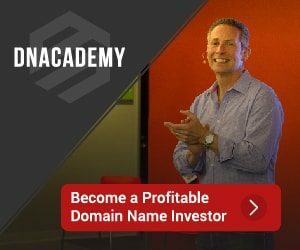 Wayne: I’ve been fascinated by the domain name market for over 10 years now. When I first started buying domain names, it was quite different from now. Back then, an exact-match keyword almost assured you a placement in Google’s organic search rankings but now they rightfully demand useful content for the public. Before I knew it, I had over 300 domain names and very little time to develop any of them. So, since then, I have scaled back, sold a number of them and let some of the non-performing ones go back into the market. I currently have around 200 names and feel good about my inventory. My main business is development of property management software, which has been very successful. This allowed me to acquire a lot of expertise in the landlord/tenant industry. For years now though, I’ve felt that the tenant market has been underserved. Landlords have tons of resources and attention from software vendors, maintenance vendors, real estate brokers, mobile device products, and so on. I researched a lot of domain names for my vision to provide tenant resources, but had to put it on the backburner because of my software company demands. Then one day, I got an email out of the blue telling me that Tenants.com was available. I nearly fell out of my chair twice – first when I thought about the possibilities if I had that name, and secondly when I found out what they were asking for the domain name. I’d bought and sold a lot of second tier names, but not a category killer name like this one. Eventually I decided that I could not pass it up, and negotiated a deal. Mike: I realize the site is under development, but can you share your ultimate vision for the site? Wayne: Sure. There are approximately 104 million tenants in the USA, nearly 33% of the total population. That’s an amazing market. I want for Tenants.com to be ‘the’ website that provides the resources that truly help them with the questions and issues that they face. I don’t believe that it can be a single use website. It has to be a something that tenants can lean on from even before they rent. For example, before a tenant rents, they need to be armed with information on how to interpret a lease contract, what the fine print means, what questions to ask a potential landlord, what assistance can they get in moving their furniture, how to find a roommate, and even where to look to find a great apartment or rental home. Once they are in the rental, they will need other types of resources, such as how to report maintenance issues, how to deal with conflicts with the landlord, ways to communicate with their landlord on mobile devices, or answers to legal questions. Lastly, when they move out, they may need to deal with issues such as the return of the security deposit, or eviction questions. It’s an ongoing process. Mike: What type of traffic numbers are you seeing at this point? Wayne: Part of the allure of this domain was the fact that it had been privately held and undeveloped for many years. To me that was a great additional bonus. That meant it came with no baggage from the previous owner, pretty much a dream from the SEO standpoint. But that also meant no links. Right now, there is not much traffic because I want to do it right. I’ve done SEO, content marketing and social marketing for my other websites, but this is a much bigger job and I am going to wait until I have my full team established, and a complete strategy in place. Just the exact match traffic for the keyword ‘tenants’ is 12k per month, but my goal is the number of tenants retained. It is very important to me that we provide valuable services from the beginning, so that tenants will continue to use our services as they move from one rental to another. Wayne: I’m afraid that is something I’d like to keep private. As you can imagine, it was pretty expensive, but I feel that it was a great investment for me. Mike: Why is it important to base a business on a keyword domain as opposed to a brandable name? Wayne: A brandable name is great if you have the marketing budget to educate the audience as to what the purpose of your company is. The way I see it, you can spend a lot of money on branding but still leave yourself vulnerable for an exact match company to sneak up on you in the name recognition game. I want the best name possible as a starting point and then create my brand from there. With a domain name like Tenants.com, you have immediate authority perception, but then you have to back it up with truly authoritative content to match the perception. Wayne: Yes, I have a good number of other domains that I’d love to develop. Most of them are in the real estate field, but some are in other fields, such as music. One of them is Overdubs.com which will be a site where musicians can overdub their parts to create a song online. Other domains in the real estate field include RealEstateAvailable.com, ApartmentRentalsAvailable.com, VacationRentalsAvailable.com, and about 10 other great domains that have to do with ‘available’ real estate. Along similar lines, I plan on developing CampsitesAvailable.com and CampgroundsAvailable.com to find camping site available throughout the USA. I believe that different domain names require different approaches. For example, I have one domain name ‘CDPressing.com’ which is an exact match for a popular search term ‘cd pressing’. I developed a website, but made partnership agreements with CD Pressing factories to receive a 10% commission on projects that I got for them. With an average cost of a CD run being around $1000.00, that’s $100.00 per referral, much better than what could be earned through straight PPC, and all it took was forwarding an inquiry. Occasionally, a big order would come through, even in the tens of thousands, so the commission would be really good. Mike: What can we expect to see from Tenants.com over the coming months? Wayne: Right now I’m putting together a team of talented web designers, programmers, and marketing experts. We have some unique ideas for new ways of finding rental property and plans to develop communication apps between tenants and landlords. Hopefully, we can have a launch in early spring of 2015. Right now I am self funding, but I expect to look for venture capital funding once all of the prototypes are in place. I’m really excited about the future of Tenants.com. Thanks for the informative interview. The .com in the name allows Wayne to expand beyond the US to cover the whole world if/when he chooses to do so in the future.